This week, the staff from the Jack Petchey Foundation were treated to a special tour of TS Jack Petchey. We were greeted at the ship, which was docked near Tower Bridge in London, by a group of young Sea Cadets and their crew and, in small groups, were taken for a tour around the vessel. This gave us the chance to learn first-hand about how this investment has benefitted young people from across the UK with an interest in sailing. 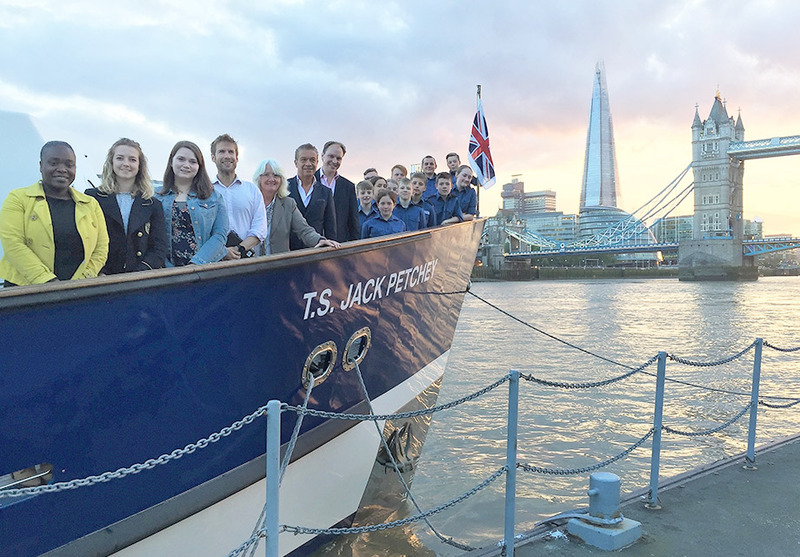 In 2009, the Jack Petchey Foundation donated £1million to enable the Marine Society and Sea Cadets to build a power-training ship. The purpose of building this ship was to offer young cadets from around the UK the chance to embark on week-long sailing trips. These trips enable the young cadets to take the skills they learn at their district unit and on local lakes and rivers and apply them to the sea, while navigating the UK’s coastline. 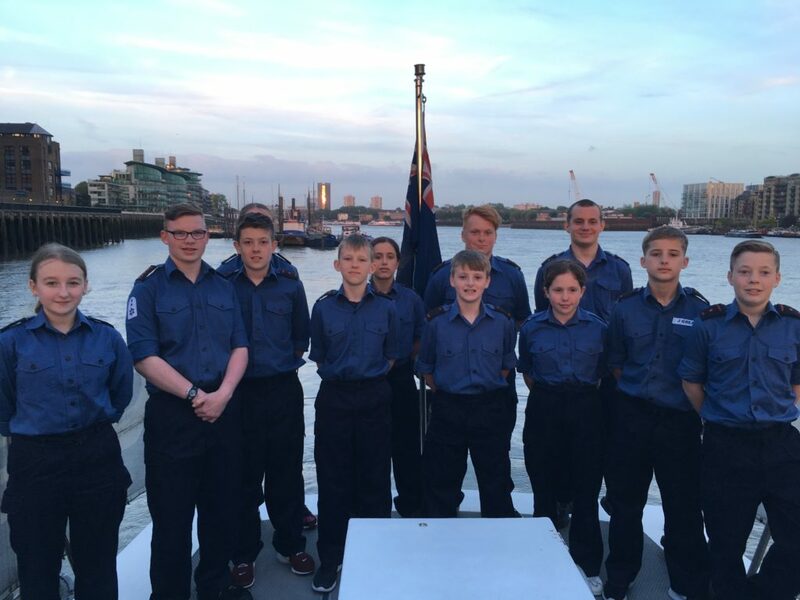 As part of our visit, the Sea Cadets who are currently on board the ship for their week-long experience took us around and showed us what they get up to and what they have learnt on board. We were shown where they sleep, eat, relax and learnt all about the day-to-day tasks they have to do too. For example, every day the Cadets take it in turns to assist with the steering of the ship. In groups of four they rotate between navigation using the map, being on watch and assisting with steering. All of the Cadets agreed that being on the ship has helped to develop vital life skills they can now use outside of sailing. They learn how to work as a team and improve on their communication skills in order to get their tasks completed efficiently. They are encouraged to keep their quarters clean and tidy and there is also an emphasis on discipline as they are expected to take orders from their crew. The Cadets also noted how their academic abilities have improved while on board TS Jack Petchey. By getting involved in tasks such as navigation, they have been able to build on their mathematics skills, and they have also been able to build on their understanding of Geography too. Their time on board the ship has inspired the young cadets to explore new, exciting career paths. Many of the Cadets now have the ambition to join the Royal Navy, and others showed an interest in exploring a career in engineering. The ship can accommodate up to 16 Cadets at a time, as well as the required crew, and it has an anticipated lifespan of up to 25 years. Therefore, through these week-long projects, it is expected 16,000 young people will get the chance to develop their sailing skills on board T.S Jack Petchey and also become inspired to achieve.